You may assort up to four case colors keeping the same imprint color throughout the entire order. 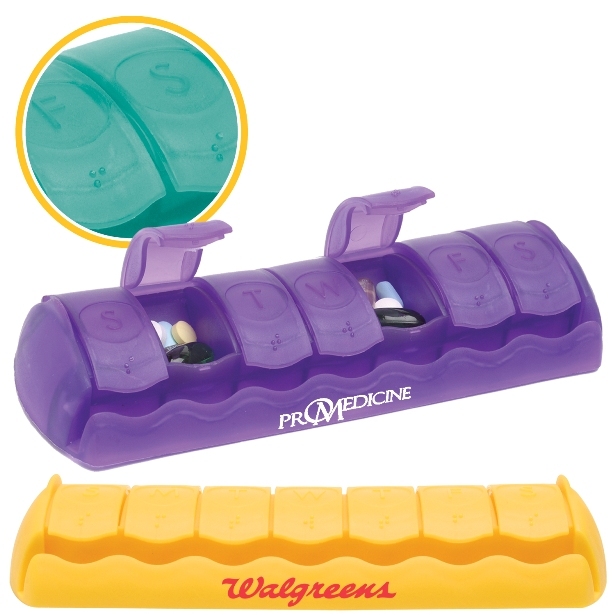 We do highly recommend White or Black Imprint on Assorted Pill Boxes as is appropriate. Pantone Color Match is available, add $50.00 for each PMS imprint color number match.